Lock in a great price for Classic Hotel – rated 8.8 by recent guests! Excellent Location and Friendly staff. Very clean, large room. The apartment was lovely and well equipped. It was bright and spacious with views of the sea. Nearby was the seaside park which was good for walking. Staff were friendly and parking was easy. Although there was no breakfast, there were croissants and small cakes as well as tea/coffee provided which was good. Small cozy place,very clean,confy beds and excellent location. Доста голяма стая с пространство във всяко отношение, приятно обзаведен и комфортен. Останахме доволни! La comida sabrosa, buena presentación y calidad en el servicio. El personal es muy agradable, servicial y sonriente. Todo correcto quedamos impresionados!!!! Шикарное расположение. Чистота в номере. Быстрый интернет. Радушный русскогорящий персонал. L’hotel si trova all’interno di un parco molto grande e bello a pochi passi dal mare. La stanza è arredata con gusto, molto pulita è dotata di bagno con cabina doccia. Non è vicina al centro ma è sita lungo una veloce direttrice che in taxi permette di raggiungere il centro in pochi minuti. Alla reception ci ha accolto una ragazza molto gentile che parla un ottimo italiano. Classic Hotel This rating is a reflection of how the property compares to the industry standard when it comes to price, facilities and services available. It's based on a self-evaluation by the property. Use this rating to help choose your stay! One of our best sellers in Varna City! Classic Hotel is located in the Sea Garden, 1,650 feet away from the nearest beach and 650 feet away from the Delphinarium. It offers elegant accommodations with free WiFi internet access. Guests enjoy a discount in the property restaurant, which also offers room service. All rooms at the Classic Hotel are air conditioned and feature a cable TV, and a private bathroom with shower. Free toiletries are available in each. The rooms are accessible by stairs only. The property is 1.2 mi away from the city center and 8.1 mi away from Varna Airport. The nearby park is unique offering panoramic sea views from the alleys and rich variety of plants and trees. There are tennis courts, football playgrounds, restaurants and shops in close proximity to the property. 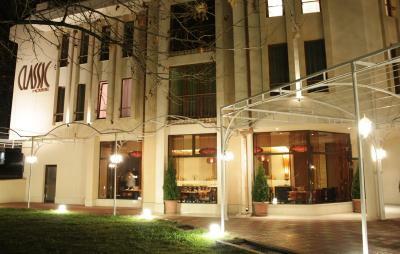 When would you like to stay at Classic Hotel? This suite has a dining table and a sofa. With a kitchenette, a dining area in the living room and a balcony with sea view. 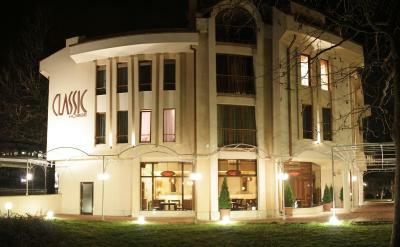 Classic is a small family hotel offering a variety of rooms to accommodate guests according to their needs and desires. 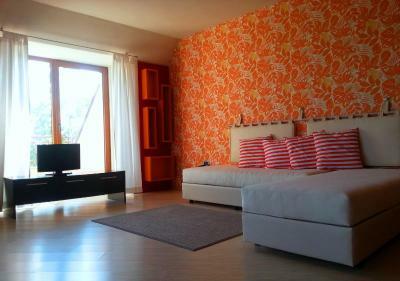 Situated in a tranquil part of the Sea garden near the beach and panoramic seaside promenade. House Rules Classic Hotel takes special requests – add in the next step! Classic Hotel accepts these cards and reserves the right to temporarily hold an amount prior to arrival. A deposit via bank is required to secure your reservation when booking without a credit card. The property will contact you with instructions after booking. Please inform Classic Hotel of your expected arrival time in advance. You can use the Special Requests box when booking, or contact the property directly using the contact details in your confirmation. It wasn't a problem for us, but not having a lift could be tricky for some people. No elevator in the building. Just next to a busy road and very noisy especially at night. No gym. Wifi ok but we had an old TV in the room from the previous century.